I am so happy to offer my novel to the international market through cybermedia for the bargain price of $4.99 - about the price of a mug of coffee. 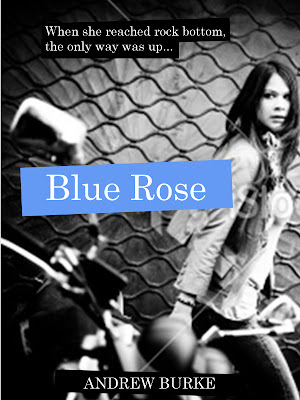 'Blue Rose' is a gritty and confronting novel set in Western Australia’s conservative late Fifties and early Sixties. It follows the turbulent life of Rose, a young teenage runaway with resilience, innate intelligence - and a good singing voice. She tangles with a Hungarian boxer, a psychopath, a bikie gang and a recovering drug-addict/folksinger in her struggle to find her true self, while law enforcement and child welfare authorities press ever more strongly to gain custody of her child. This is a story which echoes the news stories of today, presenting a deeply emotional portrait of a young woman driven by a strong maternal instinct to provide for her daughter. So you do think reading is an important part of writing? It's absolutely crucial. One thing that really annoys all poets is when they meet somebody who thinks they're going to write poems and says they're not interested in reading any. I mean, an old man came up to me once at a literary festival and gave me a copy of his book and said: “I don't read poems, I just write them.” And he gave me this book. And, of course, I could have bet a thousand pounds that it was going to be no good before I'd even opened it, and indeed, it was no good. Which is absolutely inevitable, because the guy's not really interested in poetry. The very first poem I wrote was when I was six, because I was told to write a poem at school and it was about my teddy bear. That's the very first poem I wrote. Was it a good poem?It was terrible. "New grass was planted today. Then the dinosaurs moved in." Some days ago I published a 'congratulations' to Rose van Son for winning the Freo Press Tanka competition -= then printed the poem incorrectly! Black mark, Andrew. Here is the correct version, complete with 5/7/5/7/7 syllables. Mea culpa. Discover 21 shortlisted titles across five categories: Fiction, Non-Fiction, Drama, Poetry and Young Adult. One title will be chosen among the five category winners to win the Victorian Prize for Literature. At the site you click on one of the book titles or cover images below to learn more about the work and its author. Write a review of a title you’ve read (or a play you’ve seen), or read reviews of all 21 titles, to be published from next Monday, 1 August, written by 21 librarians from across Victoria. Cast your vote for the People’s Choice Award (or recommend your own) before the category winners and the overall winner of the Victorian Prize for Literature are announced at the awards dinner on Tuesday, 6 September. Click on one of the book titles or cover images below to learn more about the work and its author. Write a review of a title you’ve read (or a play you’ve seen), or read reviews of all 21 titles, to be published from next Monday, 1 August, written by 21 librarians from across Victoria. As Wendy commented in a recent post, ‘Old Flame' uses metaphor to evoke the passing of time and dying down of love’s first flame’. Both Wendy and Andrew felt that ‘Old Flame’ had a mysterious, open quality. It is an atmospheric poem, conveying both visual and emotional shiftings of light and shadow. And congratulations to Freo Press for running such a competition. Jim Wilson, 1942-2008. This poem has been a huge influence in my life since I first read it way back. The motion and simple imagery speak to a state of being restrained in order to open up to greater possibilities. Jim was such a poet. David Meltzer "When I Was a Poet"
Moving supple in the wind. 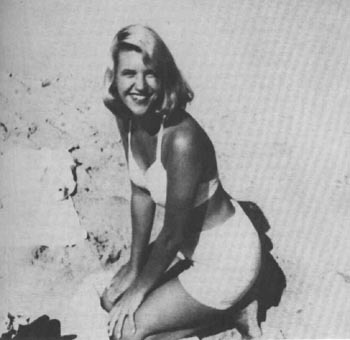 Poems and Poetics is a wonderful blog and I highly recommend reading it frequently. Will Amazon be allowed to swallow the Book Depository? Amazon's merger with the Book Depository has been referred to the OFT. The Publishers Association and the Independent Publishers Guild for the first time join voices to oppose the merger, while calling for a wider investigation into competition between the online and the bricks and mortar bookselling market. This report is from The Bookseller, 15 July 2011. The merger was announced on 4 July. Almost immediately the OFT had asked for submissions from the public and other parties concerning "any competition or public interest issues". Its stance reflects the seriousness with which the PA and IPG members are treating the proposed merger. In a statement, Richard Mollet, c.e.o. of the PA, said: "The Publishers Association will be making a joint submission with the IPG; the first time that our two organisations have collaborated in this way. This reflects the strength of feeling among publishing companies that the OFT should block this merger." Going further, Mollet said more should be done to investigate the fairness of the market share internet-only retailers have in comparison to physical bookshops. He said: "Whatever the decision in this particular case, we feel it is high time that competition authorities took a closer interest in the developments of the book retail market—especially given that data from BML shows that internet-only retailers have 31% of the retail market by value, and growing." The OFT does have the power to investigate markets that do not appear to be meeting the needs of consumers, with possible outcomes including taking competition or consumer enforcement action, encouraging businesses in the market to self-regulate, making recommendations to government to change regulations or public policy, making a market investigation reference to the Competition Commission and improving the quality and accessibility of information for consumers. The OFT could not comment on whether it would look into the bookselling market as a whole while it is still investigating the merger of Amazon and TBD. Last week, the Booksellers Association announced it would formally oppose the merger, describing Amazon as already having a "de facto monopoly". Too much is spoken about illness and medical procedures, too much read into every twitch as sand gathers in the hourglass base. We sit sipping coffee, mine black for its antioxidant properties, beside young mothers sitting at the next table, prams parked beside their chairs and their babies in their arms, babies wrapped against the autumn breeze in the café courtyard. They are fashionable women, attractive, wearing stylish black and grey, highlighting the white of their breasts as they bare them to feed their babies only weeks old. I am distracted from our talk of travel insurance and such hiccups of aging, distracted not as a young man might be by the beauty of these breasts but by the concept of our lifecycle. Sages are often depicted as old and white-haired with beards flowing down beyond their thorax. Perhaps I know why, perhaps it takes time to ponder things objectively, without the surge of blood, without the wind whistling through wild oats. There’s a lot of ‘perhaps’ in the thinking of an amateur philosopher. I stand and walk back into the café to order another coffee, just to break my thinking, just to get back on track. RIP, Lucien Freud, dead at 88. Few painters of modern times have received the honors and riches that came to Lucian Freud, the deeply talented and mysterious grandson of Sigmund Freud. Often considered the greatest living master of the human form, Mr. Freud painted many hundreds of portraits that were seldom flattering but that revealed their subjects in searing, sometimes brutal honesty that might have made his grandfather proud. But he wasn’t just the heir of the father of psychoanalysis. 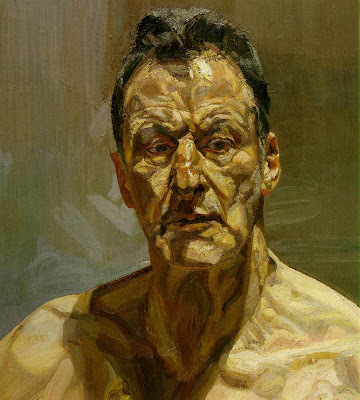 He managed to re-create and expand the tradition of classical portraiture in his paintings, which penetrated masks of pretense and seemed to pierce to the soul. Mr. Freud, who died in London on Wednesday at 88, had found moderate success in Britain early in his career. 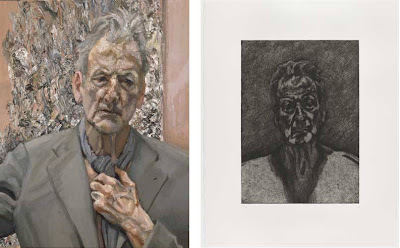 He was a leading figure, along with Francis Bacon, in the London School of painters of the 1960s who concentrated on the human form. Prune Juice is a journal of contemporary senryu and kyoka, published exclusively online twice yearly. It is edited by Liam Wilkinson and Bruce Boynton. Ken Speckle & Son point out to me that the English Plurals verse of a couple of days ago is "actually not anon. but from Richard Lederer's "Foxen In The Henhice" (in "Crazy English", Pocket Poems, 1990). Like the key to some ancient pyramid. I do not say ahh. Until I watch him do a comedy PowerPoint presentation. Each time he leans forward for a battered black pudding. The Poetry Takeaway, Bristo Square, 4–28 Aug, noon–8pm, free. 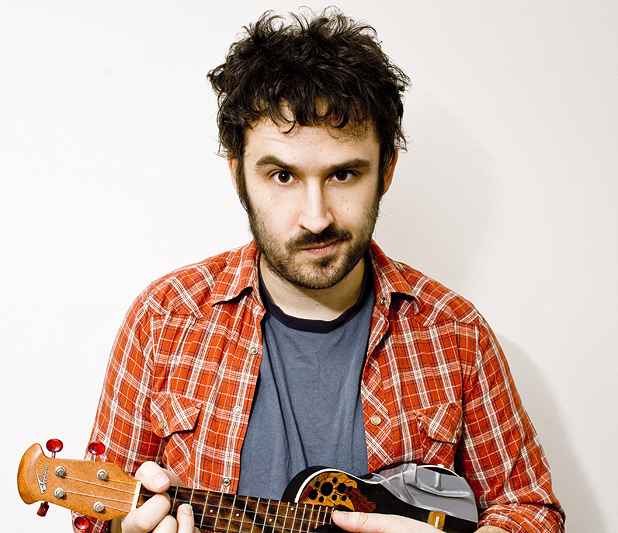 Tim Clare has his own show, How to Be a Leader, Underbelly, Cowgate, 0844 545 8252, 6–28 Aug (not 15), 8.55pm, £9–£10 (£8–£9). Previews 4 & 5 Aug, £6. Perth Poetry Club’s guest poet for Saturday 23 July is multi-award-winning poet and novelist MARCELLA POLAIN. 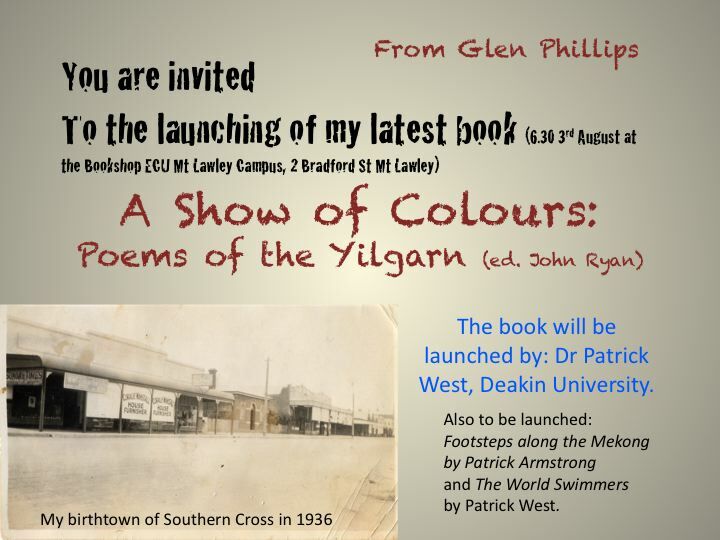 Please join us at the Moon Cafe, 323 William Street, Northbridge between 2 and 4 pm to hear her read her wonderful words. Plus professional sound and open mic. All welcome. Marcella Polain has published three poetry collections and a novel. She has won the Anne Elder Poetry Prize and twice won the Patricia Hackett Prize. Her work has been short-listed for The WA Premier's Poetry Award, The Judith Wright poetry Prize and a Commonwealth Writer's Prize for First Book. Her poetry has been published nationally and in the USA, and her novel is currently being translated for release in Romania. She is currently recipient of an Australis Council grant to write a second novel. She is a Senior Lecturer in Writing at Edith Cowan University. We park in a driveway and drive on a parkway. Many people dream of writing a book but very few ever put pen to paper and make it to the bookshop shelf. Jacqui Wright is one of the few. 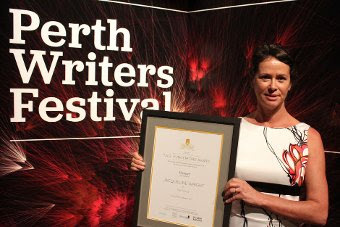 The bright and bubbly working mother of two from a community near Broome in the Kimberley is this year's winner of the TAG Hungerford award which recognises outstanding works of fiction by unpublished West Australian authors. Her novel is called 'The Telling' and is set in the North-West region. It's about a girl who is missing and the story is told through the eyes of a garbage truck driver named Maggot and an academic who has come to the region to do research in an Aboriginal community. Jacqui talks about the characters with such affection that it's clear it was a big and consuming part of her life. "They become your friends; my characters aren't necessarily based on one particular person, you start to take little bits and pieces from people in real life and you create this person so they do become a very real friend or a very real part of your world," she said. If anything, Jacqui hopes her novel shows readers that there is more than one side to a story and encourages them to look further and deeper. Read on at the website address above. The Fringe is on again, Sunday evening 31st July. Poetry and music with guest poets Danny Gunzberg and Amber Fresh. See you there, open mic and all. 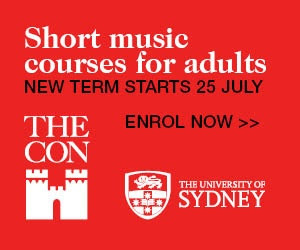 The Music Conservatorium Open Academy of the Sydney University offers short courses for everyone - from beginners through to proficient players. The Conservatorium Open Academy’s flagship community education program provides adults and life-long learners with entertaining, challenging and inspiring ways into the world of music and the Sydney Conservatorium’s vibrant culture. The program offers many short courses designed to give adults the skills and knowledge to pursue their musical interests, curiosity or to find a creative outlet for their talents in a collaborative group learning environment. Courses include music theory, composition, improvisation, instrumental and vocal performance. There are four terms during the year. The first three terms run for 8 weeks each, usually 2 hours per week. The Spring term is 5 weeks long, concentrating on performance skills for workshop concerts in late November. Courses cater for beginners right through to experienced musicians. * membership of the Conservatorium’s extensive music library for the term. * many free or discounted tickets to Conservatorium concerts. Rotorua District Council (RDC) is working with the Travelling Tuataras, poet Brian Potiki and Rotorua Mad Poets Society to bring poetry to local people on National Poetry Day 2011. The group will be distributing postcards of local poems at the Rotorua Night Market on Thursday 21 July as part of the national celebration. Local poet, playwright, scriptwriter, songwriter and performer Brian Potiki will also recite poems at the event. RDC community arts officer Kiri Jarden says poetry day is a great opportunity to generate community interest in a literary form that probably doesn't receive the attention it deserves. "Outside of formal book awards we don't often get a chance to celebrate the written word in a public way. We don't have that engagement - particularly with poetry. "Many of us as kids had a reasonable amount of poetry exposure from international writers; however we've got lots of national and local poets worthy of celebrating. We want to support local poets, and poetry as an art form that can express cultures, creativity and stories, as well as share a laugh and basically share a moment." Rotorua Mad Poets is launching the book Te Reo Pohawa - The Spirit of Rotorua in Verse at the Rotorua District Library at 5pm on Friday 22 July. The book was inspired by the late Don Stafford who suggested the group collect poems about Rotorua. The Library is also running a limerick competition leading up to National Poetry Day. People can enter their limericks on the Rotorua District Library Facebook page, or by taking them to the library where all limericks will be on display. Library marketing & promotions officer Sue Heke says writing poetry can be very therapeutic and another way of using one's love of words to inspire others. 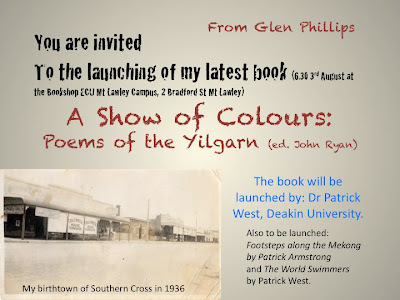 RDC also encourages local people to support poetry group 3 Blokes at McLeod's Booksellers at 6pm on Friday 22 July. If we were paid to write poems, how would they change? Thanks for the poem. I like the revised version very much - the last few lines of the original just didn't seem quite right sitting on the end of the poem. Really love the way you write - thanks for sending it through. It is currently up on my wall at work. PS - I wonder how 'differently made' your poems would be if you were paid to write them....?? Hmmm - I have always struggled with the image of you dancing to someone else's tune as an advertising person. You always seem so much your own person. But yes, much like people painting on commission, the work of art tends to be tailored to the person paying the commission so of course you are right. But then, is writing poetry that you hope to have published also influenced by what you think publishers might want or the public might buy.....? All very interesting. 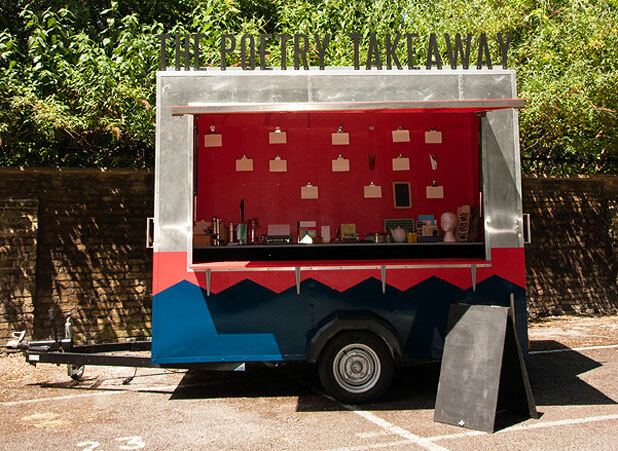 Either way, I like the sound of using the money from your poetry books to buy other poetry books or fish'n'chips - both very good investments I say! Hope you enjoyed and Jeanette enjoyed them. And I still like your poem! Thanks for yr reply - I am so much my own person, I was often in conflict in advertising. Often clients hire you to be original, but then complain your ideas aren't like their opposition's advertising: they often wanted 'me too' advertising which is never creative. Money was always polluting our ideas - the Big Idea was often too expensive to produce, although often small budgets made the creative team more creative. Atlas Poetica : A Journal of Poetry of Place in Contemporary Tanka is pleased to announce ’25 Tanka Prose’ edited and with an introduction by Bob Lucky. The sixth installment in the Special Features hosted at Atlas Poetica, the website for Atlas Poetica : A Journal of Poetry of Place in Contemporary Tanka. ’25 Tanka Prose’ is a substantial collection of prosimetrum, the art of combining poetry and prose. 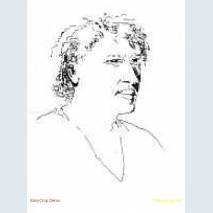 Editor Bob Lucky is a well-known and highly regarded tanka poet who brings his unique view to the form. Tanka prose originated more than a thousand years ago in Japan as poets combined tanka with prose in the form of tales, diaries, essays, and more. Tanka, with its emphasis on ‘dreaming room’ invites the reader to expand the poem with their own associations, so it is not surprising that poets themselves welcome tanka prose as a way to expand their own associations and share them with the reader. The selections in ’25 Tanka Prose’ present an international spectrum of experiences from Tibet to the United States to New Zealand to India and many other places, thus melding Atlas Poetica’s emphasis on poetry of place with the diversity of tanka prose. New voices appear alongside well-known names—a hallmark of Atlas Poetica’s approach—and present a wide variety of formats and subject matters. Terry Ingram tells us about being a child shill for the dubious doings of a Baptish minister while Amelia Fielden remembers life in Morocco during an attempted coup. History looms large: World War II, Machiavelli’s Florence, and the monastery of El Escorial where Phillip II of Spain directed the Counter-Reformation. Many of the pieces feature journeys: to hike a glacier, to visit a village in Thailand, to pilgrimage the Dalai Lama’s Tibet, but most of all, into the depths of the human experience. Atlas Poetica is an international tanka journal that publishes all forms of tanka literature: tanka, kyoka, and gogyoshi, along with prose, sequences and sets, shaped poetry, and non-fiction. The Atlas Poetica Special Features section highlights different aspects of the literature. 2010 focussed on tanka traditions from around the world, while 2011 will focus on different aspects of the literature. Upcoming Special Features will present 'From Lime Trees to Eucalypts : A Botany of Tanka,' edited by Angela Leuck and ’25 Tanka Poets from Great Britain and the United Kingdom,’ edited by Jon Baldwin. 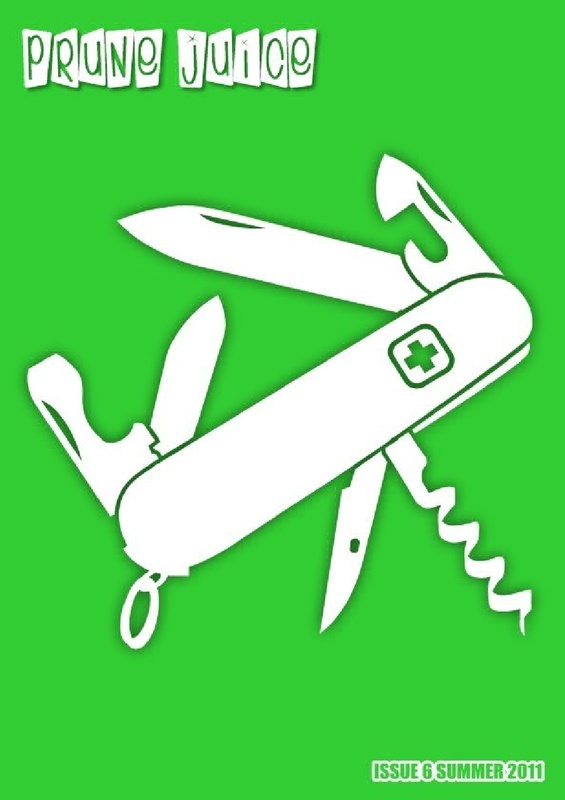 Designed by Alex von Vaupel, Technical Director for Atlas Poetica, the website hosts information about the journal, submission guidelines, ordering information and sample issues. Previous Special Features are archived free online. 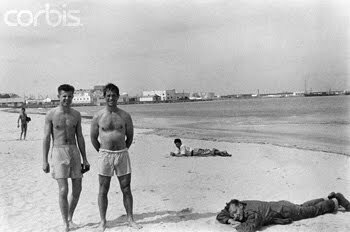 Poets and authors in their swimsuits! 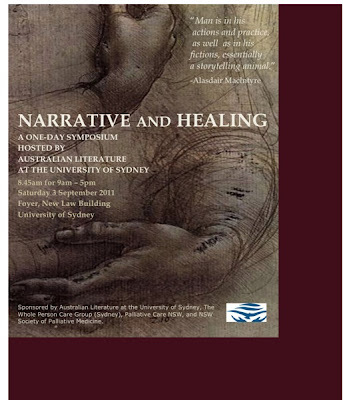 Commenting on the therapeutic dimensions of autobiographical writing, Marilyn Chandler notes: ‘All crises in some way or another involve a struggle with language, and to be healed we need to seem to find a way to tell our stories’. The recent proliferation of illness narratives and memoirs on bereavement attest to the truth of Chandler’s observation. Yet, illness sometimes has the power to silence voice. Bereavement can often render the experience of loss unspeakable. How then do the seriously ill, or the bereaved, find a way to tell their stories? What kind of stories do they tell? How does the act of telling stories shape experience? And how should we listen to those stories? How do we engage ethically with them? And what constitutes healing? 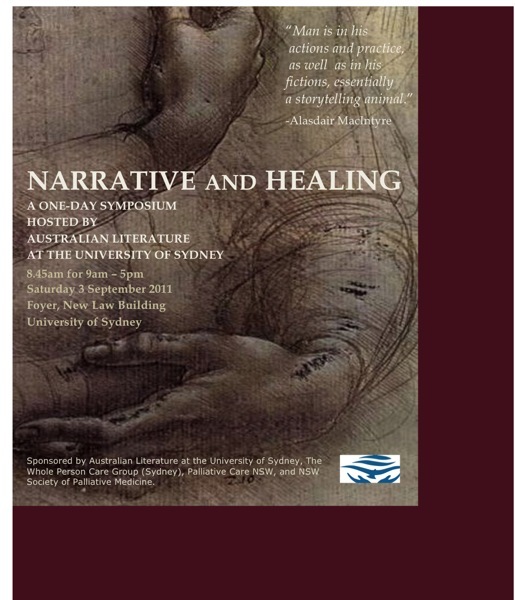 These are just some of the questions to be addressed at a one-day Symposium in which Australian writers and medical practitioners come together to explore the rich, complex relationship between narrative and healing. 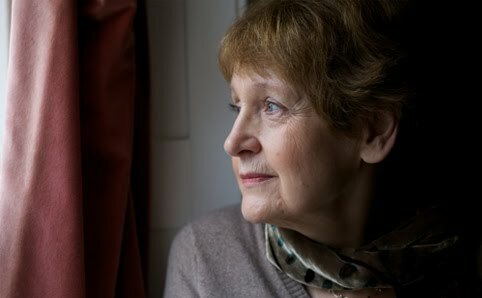 Writers Helen Garner, Brenda Walker, Maggie MacKellar and Judith Beveridge and specialist clinicians working in palliative care and bereavement counselling discuss, from a range of perspectives, how storytelling, particularly in times of crisis, enacts healing. The cost of registration is $60.00. All meals and drinks provided. Confirmed speakers include writers: Helen Garner, (Joe Cinque's Consolation, The Spare Room), Maggie Mackellar (When It Rains: a Memoir), Brenda Walker (Reading by Moonlight: How Books Saved a Life), and Judith Beveridge. Are you considering submitting poetry to Fremantle Press? Here we call for poetry submissions to be accompanied by a covering letter including a brief description of the work and an author bio with publication history and awards. If performance is an important element of the work, the letter should also list recent performances and readings. Manuscripts should be a minimum of 60 pages of poems (one poem to a page). Spacing is best at 1.5 with a font size of around 10–12 pt, and with generous margins: go for whatever is comfortable to the eye. Fremantle Press publishes two or three volumes of poetry a year. Every other year, we will publish a themed composite volume which will be our main vehicle for introducing new poets – 2010 for example was New Poets; 2012 will be Performance Poets. Calls for submissions to these volumes are broadcast widely through writing networks. The remaining spaces on the list are hotly contested. There are always more poets than places. We must consider how best to support established poets while providing space for new voices coming through. Successful manuscripts will be arresting in their language use, and the submitted volume will generally have a sense of unity or cohesion. Successful new or emerging poets who submit their work have often already taken the MS through an editorial process with a trusted mentor or editor or with writing peers. To this end, we encourage poets to be involved in a poetry community as much as possible: read and listen to the work of other poets, and, where possible, work with others (individuals, community writing groups) who themselves have experience of reading, writing and editing poetry. Gain as much publishing experience as possible via submissions to journals, or making your own zines or posting individual poems online. There are many ways to find an audience for poetry. ED: I publish this poem to ward off our chilly winds. $400 for your poem? Read on! Peter Cowan Writers Centre announces the 2011 Julie Lewis Biennial Literary Award for Poetry is now open. The Award for Poetry is open to all ages, is for an open theme of 50 lines maximum, and closes on the 31st August. There are quotes from her quotes here that will delight most contemporary writers. Take time out to listen. Mellifluous verses that no one will hear. An article in The Providence Journal at http://www.projo.com/books/content/Rhode-July-poem_07-03-11_JMNUA0T_v13.68e58.html writes about poets teaming up with some prisoners to help all express their joys and woes. QUOTE: Every other Saturday since 2008, a team of up to six poets visits the Medium Security section of the ACI to take part in a writing workshop with inmates. The inmates receive no good behavior points for attending, and the poets — among them Margie Flanders and Lisa Starr — receive no pay for making the trip. The result is that everyone is on an equal footing. Here’s a group poem, written last November by members of Ocean State Poets and poets in the Medium Security prison in Cranston. wrapped eight times around our necks. by mermaids who leave us shivering and thanking heaven. as strong and dirty as the sorrows of this year’s hell. from the crushed rock of silence, and then write. is blood flowing, holding a cleaver in its scarred hand. in another, stained glass shattering our souls. fly across the lawn and overgrowth cuts itself down. lining the runway as our poems take off into backlit clouds. like big wallets full of joy, there for us to spend. but also because we can’t not. In The Australian on the web at http://www.theaustralian.com.au/news/arts/only-greatness-not-popular-appeal-can-restore-poetry-as-the-nations-memory/story-e6frg8n6-1226085030898 there is a good article about poetry and its value. Here's a quote, but I hope you click on the link and read the article. 'Those who know what great poetry is covet its place in the culture. Pop poems may pull the punters to pubs, but that's all. In the same week that Baker was awarded her slam title, arguably one of Australia's finest living poets, Christopher Wallace Crabbe, was awarded an Order of Australia. This was, so the citation noted, "For service to the arts as a leading poet, critic and educator." PS: The link to TRUCK below is now fixed. Sorry for my mistake.